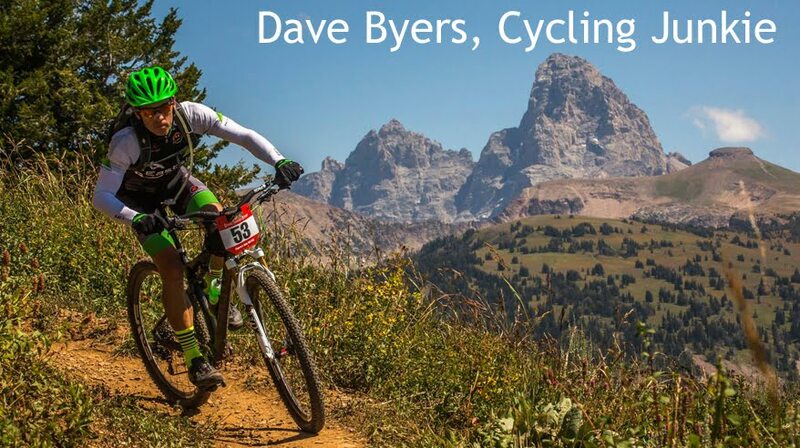 Our neighbors to the north have an established cross scene and a dedicated group that travels around the state racing the Montana Cyclocross Series. After seeing their passion first-hand in Big Sky, I hope our local cross scene can follow their lead. Herron Park Cyclocross from Off the Grind on Vimeo. We headed to Rexburg, ID on Sat for the first cross race in The CUBE Cyclocross race series. We really had no idea what to expect in terms of the course or the competition but we were pleasantly surprised on both fronts. The Rexburg Nature Park is a perfect cross venue with unlimited options for course designs. There were 3 sets of barriers per lap and we did 12 laps...that is good barrier practice. Coming into the barriers at full speed takes nerves of steel and solid technique and Fitzy, aka Daddy Long Legs, is flying. Me, not so much yet. Fitzy and Jannine sporting their new bling; we had a blast. Scott took the win in the Men's A race and Jannine took the win in the Women's A race. Quite the power couple eh? The aptly named Aspen Trail is riding great right now. The mountain bikes are still getting some love too. Sunday I rode the Aspen Trail with the ladeez and had a blast. It is as good as it gets right now with tacky dirt and leaves covering the entire trail. The Snow King trails over in Jackson are north facing and may not totally dry out again this year but are still rideable. In fact, they are best in the morning before the mud thaws too much. After Saturday's race Fitzy and Bergy were heckling me about the weight of my Salsa La Cruz steel cross bike. I originally built this bike to be a crappy weather training bike that I could ride on and off of the pavement and it is perfect for that. But at 22.5 lbs, it is a bit of a tank to hoist over the barriers and carry up the run-ups. Bergy offered me a test-ride on his new Salsa scandium Chili Con Cross and since we are close to the same size I took him up on it. But before I rode it I took some measurements and had to weigh it. I really shouldn't have done that. 17.94 lbs... Doh! In cross, low PSI is your friend so Stans rims + sealant make perfect sense if you don't want to mess with tubulars. The wider profile of the Stans 355 rim compared to your average road rim spreads the tire out and decreases your chancs of rolling it off of the rim at lower pressure. Plus, chaning tires is easy. I am a bike geek but the thought of spending multiple days to glue up a set of tubulars does not appeal to me. This bad boy is on sale for $36.99 at Sears.com right now. I cut the stock pump head off and clamped a new Silca presta pump head on. The coolest thing about this tool is that you can set the max PSI and the inflator shuts off when it reaches that PSI. It sneaks up on you and then latches on tight. Cross started out as a passing thought, "sure, what the hell, it's the end of the season so I will try it". One month later I am shopping for cowbells and dreaming of running the perfect barrier in a seamless motion. I love the physical part of cross because there is no hiding in a cross race. There is no sitting in the pack or coasting down long downhills to recover. If you are fit, and have honed your cross skills, you will be rewarded. Cross has exposed all of my weaknesses as an athlete, and there are many, and I am looking forward to the challenge of chipping away at them. There will be many humiliating moments as I crash into barriers, stumble on steep muddy run-ups, and crash land on my re-mounts. But when I make the perfect remount or pass another rider in the barriers it will be a glorious moment. Most importantly, I love cross for the social aspect. Cross is the most inclusive, welcoming form of bike racing there is. Courses are short and spectator friendly and the racing is inspiring. Feel the cowbell! This past Saturday was hard day on the bike and I got spanked. I suffered like a dog for an hour but within minutes of finishing I was looking forward to my next chance at redemption. We are throwin' our last 'cross of the season this Sat in Victor, ID. For updated race times, check out the Victor Cross Series site. It will be another double of organizing and racing for me but really the racing is secondary in this one. I just want to help spread the cross stoke. Cross practice last night was fun and we had a great turnout. Coming into the tripple barriers at full speed takes nerves of steel and confidence in your step-through dismount...I am not there yet. Fitzy "got it" and was going super fast. We also practiced shouldering for long runups in anticipation of the Pocatello, ID race on Nov 9th. Thanks for the pointers Troy! SUNDAY'S RACE CANCELED DUE TO BAD WEATHER. I couldn't believe what I was hearing when Bergy called me in the hotel room at 8:30 PM Sat night and spoke those words. You don't cancel a cross race due to bad weather. You relish the wrath of Mother Nature and TTFU. We had just got done chipping frozen road spray from our wheels and frames and washing our cross bikes in the Day's Inn parking lot in blowing snow. We were ready to rock! I think planning a cross race at a "fair weather only" venue is huge mistake. Enough said. However, race promotion is not an easy job and every racer thinks they can do it better. I know this from my experiences in organizing the Togwotee Winter Classic, co-organizing Moose Cross, and co-organizing the Victor Cross Series events. I am sure the race promoter will learn from this one and hopefully he will continue to promote cross. The story is that the City of Bozeman agreed to allow a cross race under the condition that their park was not torn up. In order to avoid a fine and prevent cross racing from being banned in Lindley Park in the future, the promoter pulled the plug. Bergy & Amanda Carey, Michelle & I, and our two hounds piled into two vehicles and headed north Saturday morning for a double-header of MT cross racing. Our first stop was the Big Sky, MT cross race at 1:00 PM. Temps were in the mid 20s with light snow and a stout wind. But people were spinning pre-race laps and milling about like it was summer mtn bike race. We found a little spot out of the wind to get warmed up on the trainers and change into our battle gear just before the race. Keeping the hands & feet warm would prove to be the biggest challenge for me. I had a great race. I went as hard as I could, I didn't crash, I questioned my sanity mid-way through, and then wanted to do it all over again within minutes of crossing the finish line. The real story of my race was my mini-battle with Michael. Michael and I settled into a race amongst ourselves by the 3rd or 4th lap and I had no idea what place we were in. The top guys were off the front and out of our site so my focus became Michael. I know his name was Michael because he had friends all over the course cheering for him and shouting "Go Michael" at every intersection. Michael and I traded positions at least 5 times. He would bobble a loose corner and I would pass. On the gradual uphill pavement, he would power by me like Fabian Cancellara in a time trial tuck and I couldn't stay on his wheel to save my life. He clearly had more "power" than I did but I was noticing that he struggled a bit with remounts after barriers. Over the last two laps I began calculating where I would try to make my last attack. It is amazing how "racing" takes your mind off of the pain. Near the end of each lap there was a 180 degree double barrier, followed by a tight right turn, and then the finishing straight. He attacked on the pavement again, but I stayed close this time and rode his wheel until the final barrier section where I attacked and made a great remount to pull ahead and then pinned it to the line to win our little battle. Glorious! Michelle said I took 4th but I haven't seen the official results yet. I am so hooked. Amanda unfortunately double-flatted early into her race but she was putting the fear of god into all of the men and Michelle said that she was closing the gap on the lead men rapidly. She is hooked now too so look out! Bergy raced next with the Men's A group and looked really strong throughout. There was some strong competition in this race and Bergy fought hard to take 5th. Nice work Bergy! The forecast seems to get snowier every time I check. Sweet! ...is the approach we are taking to growing cyclocross in Victor, ID. We held our second cyclocross race this Saturday and, although the numbers were small, it was a huge success. We had rain, wind, mud, and smiles all around. Our cross course rides really well in the bad weather and most commented on how much MORE fun it was with mud compared to the dusty conditions of Moose Cross. The Wednesday night cross practices over in Jackson will hopefully help peak some additional interest. Join us at 5:30 PM at the Snow King ball field. The ladies were killing it Saturday! Amanda Riley-Carey, Jannine Fitzgerald, and Tracey Petervary rocked the women's Int/Pro Race. Yeeehaw! Last night was a good night. 5:30 PM to 6:30 PM was cross practice in Jackson. 7:05 PM to 9:30 PM was an excellent night mtb ride with Mike P.
I need more practice with my step-through dismount and smoothing out my remount. And then I need to get better at doing both at full speed. My homemade PVC barriers turned out sweet so I can practice anytime now. More cross racing tomorrow in Victor and it looks the Belgian-like weather is coming! The night ride was one of the most enjoyable I have had. We did a great loop, I dressed perfectly, and Mike P. was setting a solid pace. We had several close encounters with moose, most of which we did not see but only heard, and then at the very end of the ride we got to see a gorgeous bull moose out in the open. Cool.